Acknowledged author Paul D. Kimmel wrote Financial Accounting: Tools for Business Decision Making, 8e Binder Ready Version + WileyPLUS Registration Card comprising 701 pages back in 2015. Textbook and etextbook are published under ISBN 1119221641 and 9781119221647. 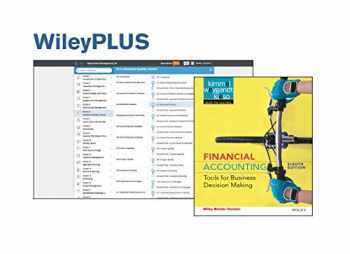 Since then Financial Accounting: Tools for Business Decision Making, 8e Binder Ready Version + WileyPLUS Registration Card textbook received total rating of 4 stars and was available to sell back to BooksRun online for the top buyback price of $64.21 or rent at the marketplace. Basically new binder ready version. Low price. Access code not included.